Youtube is a very popular videos streaming website in all over the world. YouTube had been launched by google network. Due to satisfactory contents & swift speed of video youtube became a very popular website in the world. Pakistani people moreover love to watch youtube videos. But on 3 March 2012 youtube had been blocked for Pakistani visitors. The reason behind this youtube ban was an insolent video. Pakistani people was demanded to remove this insolvent video. But according to the youtube team every person have right to self determination so they can not remove this insolvent video & then finally Youtube had been banned in Pakistan. Despite of youtube ban in Pakistan we find people who watch youtube videos through proxy websites or proxy software like youtubeproxy.pk , spotflux & hotspot are very usual website & software. But this is a very disgusting way to watch youtube videos. Proxy websites & software make youtube videos very slow & most of software send many popup windows which make user crazy. But today in this post we are sharing some new youtube unblocking tricks & updates. First of all these all tricks or updates are absolutely free & there is no need any proxy or any software & it is pertinent to mention here that with the assist of these tricks or technologies you can watch youtube videos without any buffering & very fast. Everyone know to google chrome & Mozila Firefox browsers. Tor is moreover a very powerful free browser which have ability to unblock any banned website. Just go to the tor official website by clicking here. 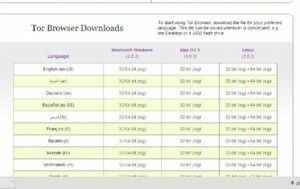 Now click on the download tor browser button. When you will click on the download button it will show a languages , & operating system table. Most of users in Pakistan use windows operating system so 32/64-bit. See image below. Now your tor browser download will be started very soon. After download install tor software on your system & enjoy youtube without any proxy software. 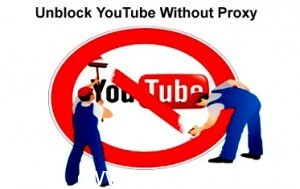 Its really swift & best way to youtube unblocking. Google chrome is a very popular browser which has been designed by google team. Google chrome browser considers as a very reliable browser in all over the world. But most of people do not know approximately google chrome extensions. 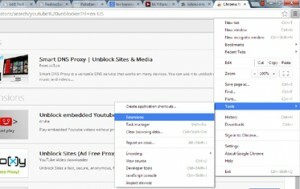 Google chrome is offering many types of extensions & one extension is very useful to unblock youtube. To install youtube unblock extension in your chrome browser just click on right tab of your chrome browser >> & then select tools >> & then extensions. See Image below. After clicking on “Extensions” a new page will be appear on your chrome browser. On the below of this page you will see a blue link “Get More Extensions” now click on this click. Now you are in google chrome extensions store. Now just find search box at the left side of this page & write “Youtube Unblocker” & find extensions for relevant keyword. Now you will see many youtube unblocker extensions on the next page. You can install any youtube unblocker extension on your google chrome browser & watch youtube videos without any proxy or software. If you have any question approximately this article so please leave your comments at the below of this page. Vimow.com has been launched by Pakistani students where you can watch & download any youtube video without any proxy website or proxy software. 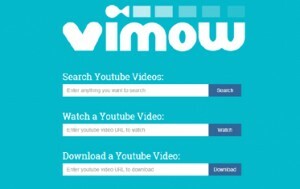 Vimow.com is a very swift youtube streaming website just enter the keyword of your desired video & find results of videos from youtube.